Highlight (Korean: 하이라이트) is a South Korean boy band formerly known as Beast (Korean: 비스트). The band consists of five members: Yoon Doo-joon, Yong Jun-hyung, Yang Yo-seob, Lee Gi-kwang, and Son Dong-woon. Original member Jang Hyun-seung officially left the group in April 2016. Later that year, the five remaining members moved labels from Cube Entertainment to Around Us Entertainment and subsequently changed their name to Highlight in 2017. As Beast, the group released three Korean full-length albums, nine Korean mini-albums, two Japanese full-length albums, and numerous singles. The group debuted in 2009 with the mini-album, Beast Is the B2ST. In 2011, they released their first full-length album, Fiction and Fact, and made their Japanese debut with the single, "Shock" (Japanese Version). As Highlight, the group debuted in 2017 with the mini-album, Can You Feel It?. 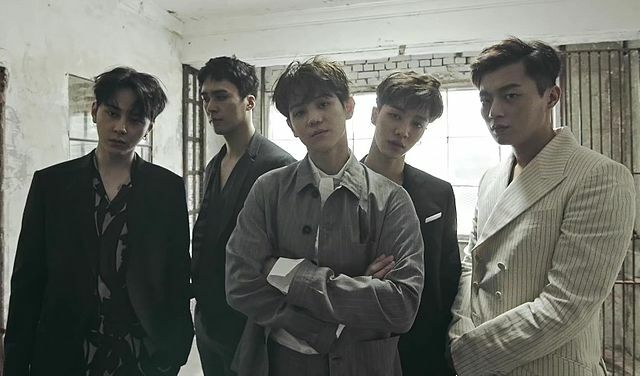 Beast initially received attention for the lack of industry success previously experienced by its members, with media outlets referring to them as "a group of recycled material." However, the group has achieved significant commercial success and critical accolades and is one of the most awarded groups of all time at the Golden Disk Awards, the Seoul Music Awards, and the Melon Music Awards. To all aspiring writers, old and new, welcome to the Shoes of a Unicorn Writing Contest! There is much in store for those who take part in this contest and plenty of merchandise to be won. Let your imagination run wild as you craft a masterpiece for the community to read. Interested? Then join us. We await your thrilling works of literary art. A prospective detective, Yoseob had suddenly decided to leave his dream job to live a new life. However, the reason that he quit decided to show up when he thought he had moved on. [CONTENTID1] Welcome to 2Jun (Dujoon x Junhyung) library. We have 100 different stories about this ship with different genre every each.